This big, retro 2-door coupe seats five people. It is offered with a choice of V6 or V8 power, and it is also available in high performance SRT form with a 470 hp V8 engine. Competitors include the Ford Mustang and Chevrolet Camaro. Chrysler has expanded the availability of certain features. 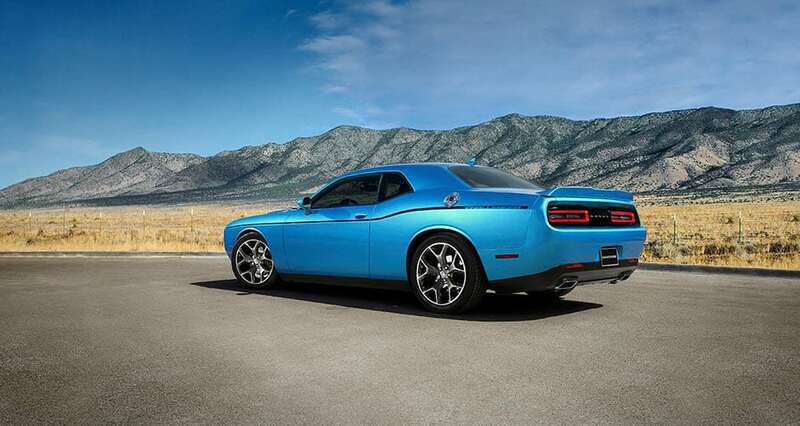 Every Challenger can now be equipped with performance suspension and brakes as well as 20" aluminum wheels. The Challenger was only available with the SRT8's 6.1 liter V8. It then went mainstream by offering a V6 and manual transmission option. There is also a reengineered 5.7 liter Hemi with variable valve timing and an expanded multi displacement system that allows the car to operate on 4 cylinders when less power is needed. Unlike its arch rival, the Mustang, the Challenger has an independent rear suspension. All trim levels share the same basic styling, unlike the Mustang, whose massive driving lights easily differentiate the V8 from the V6. Part of the credit goes to the standard exterior features, which include 17" alloy wheels, body colored moldings and faux hood scoops. How much power does the Dodge Challenger have? The Dodge Challenger SRT8 392 is powered by a 6.4 liter V8 engine that can produce a maximum 470 horsepower at 6,000 rpm. Other features include a 6-speed manual transmission, a 54.6/45.4 weight distribution, and 470 lb-ft of torque at 4,200 rpm. What colors does the Dodge Challenger come in? Six standard airbags include the required frontal devices as well as side-impact airbags for the front seats and side curtain airbags for both rows. Four-wheel-disc brakes are standard, but anti-lock brakes, traction control and an electronic stability system are bundled into an option package on the SE. All three are standard on the R/T and SRT8. 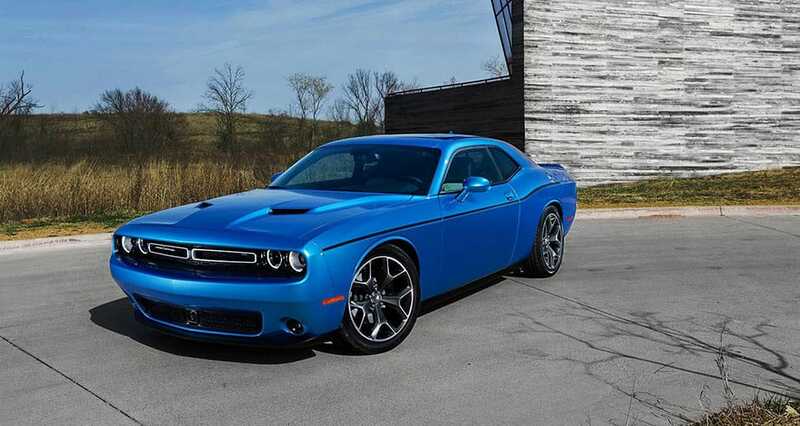 Give us a call today if you would like more information on the Dodge Challenger!